Wayne C. Lee, M.D., F.A.C.S., is a renowned plastic and reconstructive surgeon in the Tampa Bay area. Dr. Lee is double board certified by the American Board of Plastic Surgery and the American Board of Surgery. He is an active member of American Society of Plastic Surgeons (ASPS) and is a Fellow of the American College of Surgeons. Dr. Lee was Valedictorian of his high school in Madison, WI. He is a graduate of the University of Wisconsin-Madison, where he received a full academic excellence scholarship. He was accepted immediately into UW Medical School under the Medical Scholar’s Program, and completed his MD degree in 2000. He completed his general surgery residency at the University of Illinois-Chicago. It was during this time when his interests in plastic surgery naturally took shape. During a vacation month, he returned to his birth country of Taiwan to learn cutting edge micro and plastic surgery. Afterwards, he went on to complete a 3-year plastic and reconstructive surgery fellowship at the University of Florida. 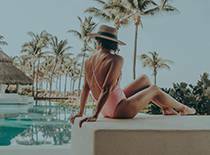 Dr. Lee ‘s plastic surgery experience ranges from cosmetic surgeries of the face, breast, and body, to breast cancer reconstruction as well as revision surgeries. 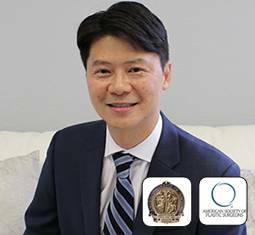 Dr. Lee enjoys volunteering his time and surgical expertise to the local breast cancer community as well as the international medical community. He is the founder of “Return 2 Fitness,” a program for postoperative breast cancer patients who wish to return to their personal fitness routine. Dr. Lee also attends weekly conferences to extend his expertise and knowledge in the plastic and reconstructive surgery field. In his free time he enjoys playing the cello, as well as playing tennis and volleyball, and spending time with his wife.